My first stop in any nerd-venture is always Strange Adventures. This comic book/board game/collectibles shop is the best place to find your new favourite thing. The staff are attentive and helpful, and once they learn what you’re into, they’ll start putting new editions aside just for you. It’s how I discovered Saga and Gwenpool! Just around the corner downtown is Unplugged. This board game café carries over 500 games, and I’m working my way through them all! They also serve up some delicious grilled cheese sandwiches, for when your Settlers of Catan tournament runs through lunch. After the board games, head upstairs to try one of Unplugged’s four escape rooms. Can you defuse a bomb or steal important documents in just 45 minutes? I…was not successful. Want a challenge with your new Magic deck? Then you have to check out Meta GameZ. The open play area hosts theme nights, including Pokemon and X-Wing nights. Is Warhammer more your thing? Gamezilla is the perfect place to pick up miniatures, dice, and find a new clan. Of course, it all comes together at the biggest geekfest of the summer, Animaritime (June 29 - July 1). 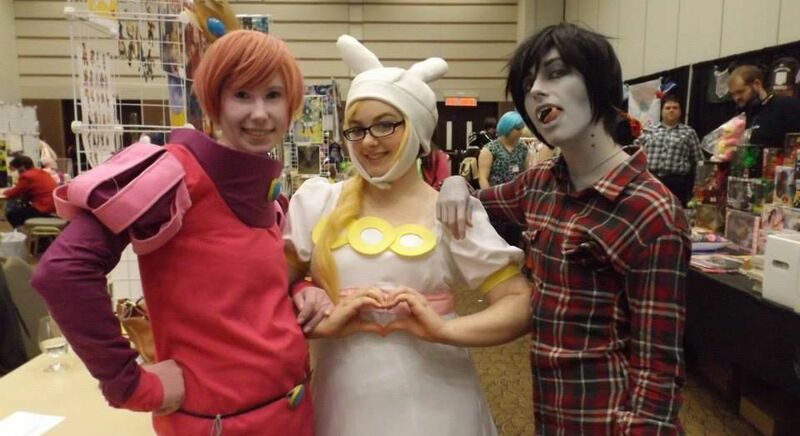 It’s the biggest anime, manga, and gaming convention in the east, and a total blast. If you’re looking for a chance to bust out your Assassins Creed cosplay and head to a K-Pop karaoke contest, you’ve come to the right place. Tell us, where will your next nerd-venture take you? Emily Baron Cadloff is a reporter and writer who found her way to Fredericton after living all over the country. She loves boardgames, beach days, binge-watching, and other things that also begin with the letter B. She is a traveler at heart.